PLEASE NOTE: If you are aware of the passing of a former member of the Regiment it would be appreciated if you would please provide as much information that is available to you in order that we may pay homage to our colleague and to show respect to the family. To report the passing or to place notifications of funerals, memorial services etc. Once verified details will be published on the website notice board. Names will be added to our ‘In Memoriam’ page. Notifications received via the website will be forwarded to the respective county office. Sadly Michael Godwin, The much respected and extremely efficient Secretary of our Regimental Association has passed away. He suffered a heart attack on the morning of Tuesday the 12th March. Photos from Judith Cameron, wife of Duncan. 1. Introduction. The Rifles Secretary West works from the Taunton office. The office has a role in coordinating The Rifleman’s Association (TRA) activity within Herefordshire, Gloucestershire, Bristol and Somerset. The Royal British Legion (RBL) is inviting individuals, via Associations, to bid for places to attend an event that marks the 50th anniversary of the UK Armed Forces’ first deploying to Northern Ireland on operations (Op BANNER). The action addressees are drawn from Branch points of contact, for Associations, listed at the rear of The Bugle within Herefordshire, Gloucestershire, Bristol and Somerset. 2. Background. The National Memorial Arboretum will host this commemorative event on Wed 14 Aug 19, beginning at 1400 hrs. The event is being led by RBL. Those holders of the General Service Medal (with the Northern Ireland clasp) are invited to attend. Bids for tickets must be submitted through Associations. The RBL will not accept individual bids. TRA has written to Regional Offices and Associations, kindly offering to submit individual and Association bids via The Rifleman’s Association. This means that all those eligible to attend and wishing to attend will have a sponsor Association. 3. Requirement. Those wishing to attend are asked to pass their names, regiment and battalion and year/s serving in Northern Ireland to Mrs Debbie Hards at The Rifles office Taunton, 14 Mount Street, Taunton, TA1 3QB || aotaunton@the-rifles.co.uk || 01823 333434. 5. Assumption on Travel. The working assumption is that individuals will team up with fellow Branch members and make their own way/arrangements to/from the Arboretum. Should Branches feel there is a case for financial assistance they should, in the first instance consider this within Branches, before seeking advice from parent Associations. I mentioned that our Museum would be available for use as a meeting place and club when the participants for Gloucestershire Remembers met there for the initial briefing on 27 November. It has been agreed by The Soldiers of Gloucestershire Regiment Trustees that this can now go ahead with immediate effect. A bar will be built in the present Library which is adjacent to the Long Room and also next door to the kitchen area. A secure cupboard will be provided for keeping drinks, glasses and bar goods. It is also our aim to provide draft beer and cider. Prices will be cheaper than those in a pub. In order to bring this into operation SOGM requires that a small committee of Gloster Veterans be brought into being to run it. They will receive the full support of myself and Vicki Hopson, our Museum Director, to get it off the ground and get it under way. So if you are interested in helping with the set up please email me on robert@robertdixon.co.uk and let me know what day of the week and time is best for you to come to an initial meeting at SOGM to get it going. As I explained this has to be a win-win situation for both Gloster Veterans and SOGM as we receive absolutely no funding any more from MOD or official sources but we are determined to survive to keep the Glosters Colours flying for ever in our County. The Colours will from now on be on permanent display in The Long Room, or The Regimental Mess as we will re-title it. The membership deal will be as follows. An individual subscription of £5 per month or £50 per annum (saving £10). Free use of The Regimental Mess at least once per month. Dates and frequencies to be decided by your committee. Free Tea and Coffee at the Café for members whenever they visit the Museum. Discounts on certain items in the shop, particularly Regimental items. Access to private events at the Museum, such as lectures, receptions, early access to new exhibitions. Please give this notice as wide a distribution as possible. David Littlemore whose inspiration and hard work brought the memorial to fruition has recently published a booklet on the building of the Cyprus Memorial. He has made it an online version. 'The Cyprus Rock Story' To read it online click here. Today was an outstanding success in remembering the sacrifice made by our Regiment in World War One. I am just so grateful to the team that came together and gave their time and energy into making it such a memorable day. I have had lots of comments saying how moving it was to see us old comrades making the effort to dress up and honour our forbears in such a way. The Glosters Regimental spirit was so apparent. Thank you all for your banter, your Gloster humour and your pride. It is something that cannot be recreated but is so special when it comes together. Thank you Len Keeling for your organisation and hard work behind the scenes, thank you Rob Howells as our acting QM, to the colour party and to 03 for the van. I will keep you all posted on this website concerning turning the Museum Long Room into a regular meeting place for all Glosters. I welcome all ideas and would be delighted if a few of you could be representatives to work with me to make it happen. Well done. You can be very proud of yourselves. Entraining at Toddington Station Ready for anything!!! Lt. Col. HRA (Tony) Streather OBE, died peacefully at home surrounded by family on 31st October 2018. Beloved father of Charlie, Peter, Phil and Sally and dedicated, loving grandfather to Ashley, George, Antony, Tom, Polly, Kate and Will. A Celebration of life will be held at St. John the Baptist Church in Hindon, Wiltshire on 1st December at 12 noon. Donations in his memory will be forwarded to the Gurkha Welfare Trust and ABF The Soldiers’ Charity and may be sent to Bracher Brothers Funeral Directors, Newbury, Gillingham, Dorset, SP8 4QL. Lt Col Tony Streather joined The Gloucestershire Regiment in Korea in 1951, taking in the first batch of reinforcements after the Imjin Battle. Previously he served in the Indian Army, having been commissioned in 1945 into the Rajputana Rifles. For most of his time in India and later in Pakistan he was seconded to various Irregular Forces on the NW Frontier, and served with the Zhob Militia, the Tochi Scouts and the Chitral State Scouts. For a period after partition he was ADC to the Governor of the North West Province and had a ringside seat at that tragic time. He remained with the 28th/61st until 1955 before going to RMA Sandhurst as an instructor. He returned to the Battalion in 1959 as Company Commander and later as Adjutant. He then went to the Army Outward Bound School as Chief Instructor, mainly working with Boy Soldiers, climbing, canoeing and living in the mountains of Wales. He returned to the Battalion in Cyprus in 1963 and as OC B Coy during the “Little Emergency”, was awarded the MBE, and later became Second-in-Command. After Cyprus he served briefly in Malaya, where he was instrumental in the return of the silver candelabra which had been lost in Burma in 1942 - the candelabra is now regimental property of The Rifles and is with 1 RIFLES. Subsequently he moved to Hong Kong to join 1/6th Queen Elizabeth’s Own Gurkha Rifles and saw six months active service in Borneo. He returned from Hong Kong to assume command of 1st Battalion. The journal continues to summarise Colonel Streather’s main interests, outside active service soldiering, of horses and climbing. Many recall the CO being mounted when commanding the Back Badge parade, in Berlin on 26th April 1969. HRH the Duchess of Gloucester, accompanied by Brigadier Heidenstam, Colonel of the Regiment, took the inspection. Some may wish to read the attached obituary. Imperial War Museum website - https://www.iwm.org.uk/collections/item/object/80014878 - oral history interview with Mr B J Murphy recounting life experiences. Many will be delighted to know of the recent announcement within the Queen’s Birthday Honours, 2018. Ray Peart, formerly of The Gloucestershire Regiment, has been awarded the British Empire Medal (BEM) for ‘services to injured Service personnel and to Charity’. Some will have a feel for the extraordinary scale and longevity of Ray’s charitable work assisted by his wife, Claire, family and close friends. A few of the major beneficiaries have included: BLESMA; Blind Veterans UK; and, The Rifles Care for Casualties. Dame Janet Trotter, HM Lord-Lieutenant of Gloucestershire, has been in contact to extend her congratulations. Later in the year HM Lord-Lieutenant of Gloucestershire, on behalf of HM The Queen, will present the BEM to Ray Peart. Peter died aged 74 on the 29th December 2017 in the Bristol Royal Infirmary with no known surviving family members or close relations. All we have been able to establish is that Peter did serve in the Glosters but unfortunately he does not appear in the regiment’s data base. We were completely unaware of his passing or his whereabouts prior to his death. We now learn that he was living in sheltered accommodation in Bedminster Bristol. We are able to confirm that he was a Gloster and so far nothing else. It is said that he served for 18 years. One former member recalls him as a mate whilst serving in Chester and Swaziland but then lost contact. Since his passing Peter’s body was held in the mortuary whilst the local authorities tried to trace possible relatives but without success. So with no surviving family members or close relations, the funeral was arranged by the Local Authority. Sadly, it was looking that no one would be present to say their final goodbyes. His story was picked up by the British Legion Riders Branch in Bristol, who started an appeal to get anyone who knew Peter or well-meaning strangers to come and pay their respects and say their final goodbyes. This message went viral on social media resulting in fellow Glosters other veterans from all branches of the armed services and the wider population making their way to Bristol for the funeral from across the country. Lt. Col. Mike Motum was one of many who attended the funeral in Bristol. He has submitted this account. Earlier today I was amongst a very large number that attended the service, at Westbury-on-Trym Crematorium, of Mr Peter ‘Pixie’ Pickard. Peter was given an outstanding send off. The RBL in Bristol deserve our thanks for getting the word out having been contacted by Bristol City Council. RBL had a large number of Standards present and the Regimental Forest of Dean Standard was invited to lead. The service was led by a Humanist Funeral Celebrant, named Claire; she did a first rate job. The Chapel was full. Military and regimental support was evident through: two Lt Col staff officers, in uniform, from Abbey Wood; a strong cohort from 6 RIFLES in No 2 Dress; many former Glosters; Colonel Tim Harper (former CO 7 RIFLES); a large number of former servicemen and women; RBL bikers; and, a good number of civilians who knew Peter Pickard from his life long association with Bristol. There were some flowers and two wreaths (one being from our Association) placed within the garden following the service. With respect to the coffin the Grand Union was draped together with a No 1 Dress hat and belt, flowers and a Glosters scarf. The Association will arrange for his name to be placed in Bristol’s Book of Remembrance. IMPORTANT - Do we have your current contact details on file? Changes are afoot with the closure of RHQ Gloucester. The Gloucester Bristol side of the Regimental Association will be managed independently headed by Lt, Col. Rob Dixon. It is important that we keep you in touch with the Regimental family, reunions, events etc. Not all news is appropriate for publication on Facebook. The website database shows over 700 active email addresses but unfortunately there are a further 300 members who over the years have changed their email addresses but didn't get around to notifying Lesley or the webmaster. Please take a minute to check yours at http://www.glosters.org/index_notes.htm. Click the envelope symbol by your name and your currently recorded email address will be visible. If it is correct there is nothing more to do. If it is out of date please open and complete this form. With the RAF celebrating its Centenary it is interesting to note that one of the earliest members of the Royal Flying Corps was a Gloster. Lieutenant Leslie Archibald Powell (27 June 1896 – 1960) was a World War I flying ace credited with 19 aerial victories. Archibald Powell, a Bristolian educated at Bristol Cathedral School was a journalist before the war, working for the Western Daily Press. At the outbreak of the war he enlisted into the Royal Navy and found himself in a land battalion of the Naval Division and saw service at Gallipoli. In 1916 he transferred from the Navy into the Gloucestershire Regiment and saw fighting on the Somme before transferring to the Royal Flying Corps 11 Squadron. He flew as an observer/gunner on Bristol F2B Fighters. All but one of his victories came while he was teamed with Andrew McKeever a Canadian. The two of them were a formidable team nicknamed the Hawk and the Gnat they scored multiple daily victories more often than not. Powell's victory roll began with triple victories on both 7 July 1917 and 5 August. He would score another triple triumph on 31 October and double victories on 23 September and 16 October 1917. He closed out his list with four victories scored in a running dogfight between his plane and seven German fighters. Powell's Lewis machine gun jammed while they were being attacked by another German fighter. McKeever rolled the Bristol into what seemed a death dive, and the German sheared off. McKeever recovered at 20 feet altitude before managing to escape the surviving Germans. T./2nd Lt. Leslie Archibald Powell, Glouc. R. and R.F.C. For conspicuous gallantry and devotion to duty on several occasions in attacking enemy aircraft in superior numbers at close range, destroying some and driving down others out of control. He has also done excellent work on photographic reconnaissances, and has, in every instance, displayed the greatest gallantry and splendid offensive spirit. T./2nd Lt. Leslie Archibald Powell, M.C., Gen. List and R.F.C. For conspicuous gallantry and devotion to duty. Since his name was last brought to notice he has destroyed eight hostile machines. On one occasion, with his pilot, he engaged eleven, enemy aeroplanes, his pilot bringing down one. On another six Albatross scouts and two two-seaters were encountered, two being brought down and three others engaged with indecisive results. New members and Association members from other Branches always welcome. Firstly my apologies that you may well receive this message more than once. This one from me and perhaps another from the RGBW Association Secretary, but it is an effort to try and get the contents out to our membership. The wonders of modern communications are only as good as those who wish to use it and looking at the Rifles and RGBW website hit rate not many of the members are using it to keep themselves abreast of what is happening. Whilst the new Association Secretary is emailing the attachment to all members whose email addresses he holds, we still have many who do not use computers. May I ask that local branches display the attached notice or at least bring its contents to its members if they are unable to use a dedicated notice board. If anyone has any bright ideas of how we can pass on updates to those not using computers without raising a sizeable postage bill their views would be appreciated. It is inevitable that attempts to keep members abreast of the changes within the running of the Rifles and RGBW Association will not have reached everyone. The migration of contact details of our membership from the Rifles Database to our newly appointed volunteer Association Secretary post has not been as successful as one would have wished. We are persevering and making good progress. Meanwhile some individuals wish to remain hidden and consequently one will always struggle to make contact. It is hoped the issues raised below go some way to informing all on important points. Most will be aware that the Rifles County office at Salisbury has closed. The subsequent move of manpower from Salisbury to Winchester saw Sue Nelmes becoming the initial focal point for RGBW matters at Winchester. Furthermore, Lesley Bradshaw’s departure from Gloucester in May 2017, resulted in Debbie Hards at Taunton taking on many issues relating to Gloucestershire and Bristol. The Taunton office continues to run such matters while the Rifles office in Gloucester is preparing for closure at the end of March 2018. Our regimental museums maintain those close links to our former regiments and are ideal havens for those wishing to reminisce. The Soldiers of Gloucestershire Museum and Archives will remain at the Custom House (see the web site www.soldiersofglos.com ) , run by their own Independent Charitable Trust. For those not aware the Rifles Berkshire and Wiltshire Museum at the Wardrobe, Salisbury is also run by an Independent Charitable Trust (see web site www.thewardrobe.org.uk ). South West and West – contiguous with 6 RIFLES, covering Herefordshire, Gloucestershire, Bristol, Somerset, Dorset, Devon and Cornwall. North & Midlands – contiguous with the newly formed 8 RIFLES, covering Durham, Yorkshire, the Midlands and Shropshire. Replacing Lesley and Sue, will be a volunteer Association Secretary, presently Mike Godwin. Whilst the Association may be able to provide him with IT and equipment to carry out this role, he is a volunteer and therefore like all of us will have limited time per day to devote to the task. One way in which we can assist Mike is making sure that the contact details he has inherited from the Gloucester and Salisbury offices are up to date. If you have concerns that you have not been receiving regular email updates then please contact Mike Godwin, via email, his address is rgbwassnsec@gmail.com . In the past the Association has produced an Annual Newsletter where events of the past year have been recorded, future events publicised, with their respective calling notices, and articles published on historical actions of our antecedent regiments. The newsletter was produced between the two County offices with full time staff which included their time and resources. A volunteer Secretary will not have the wherewithal to commit to such an undertaking, however what it proposed is that a monthly newssheet is produced and distributed electronically as well as being placed on the Association web site and social media. It still has to be resolved how to distribute to those not using IT based communications. Local branches may well be able to assist in this aspect. Because of the motion carried at the EGM held in March, the Association has created an intermediary committee level which will assume the responsibility of organising those Association Reunions held in each County. Therefore, Gloucestershire County Committee (County Chairman - Lt Col DR Dixon OBE; Secretary - Dartagnan Griffin) will co-ordinate the Back-Badge Reunion; Berkshire County Committee (County Chairman – Lt Col RB Paddison MBE DL; Secretary – Peter Richens) will co-ordinate the Maiwand Reunion and the Wiltshire County Committee (County Chairman - Lt Col SJ Venus MBE; Secretary - David Fielding) will co-ordinate the Salisbury Reunion. Articles to be included in the Rifles Regimental Journal (The Bugle), will be called for by the Rifles Taunton Office (Lt Col MJR Motum and Debbie Hards) will act as the sub editor’s office. Articles will appear under the headings of our three counties. At local branch level little will change other than your point of contact for passing on information for the Association will be via Mike Godwin ( rgbwassnsec@gmail.com) and that you may be asked to provide a member to sit on County Committee meetings (two times a year). The Association’s web site (www.rgbw-association.org.uk ) is probably the quickest means to publicise news and events and this can be done by asking the webmaster to enter the details onto the site by emailing him at thewebmaster@rgbw-association.org.uk. But may we also please inform the Association Secretary as well so he can pass out the relevant news as well via the email distribution lists. For the Association to maintain it success communication to and from the members is vital. As we transit from a support system of paid staff to a single volunteer post we will have to embrace both the modern and traditional means of passing on news to each other. So, may I ask, if you know of an Association member who does not use computers to pass this information on. A new book from Major General Robin Grist. This book describes the campaigns fought by the Gloucestershire Regiment’s sixteen infantry battalions and the 1/1st RGH which saw action on all the Allied fronts. During The Great War the Glosters who already had more battle honours than any other regiment won another eighty-two. Over 46,000 men served in the Glosters and the RGH during the First World War without any member of either regiment being charged with either desertion or cowardice. Twenty-five Military Medals were won by 1st Glosters at Festubert on one day in April 1918, a record for a single battalion. A Gallant County captures the contrast between the fighting in the mud of the Western Front, the heat and dust of the Middle East and the horrors of Gallipoli. The author skilfully paints the picture of infantry and cavalry actions in the different theatres. 1/1st RGH were one of only two yeomanry regiments to fight from Egypt to Aleppo. The use of personal accounts and descriptions of acts of individual and collective gallantry make this a superb record of a County’s outstanding contribution to victory. At a meeting held earlier this year it was decided to change the RGBW Rifles Regimental Association constitution by splitting it into three to reflect the geographical territories from where the antecedent regiments were recruited: namely Gloucestershire and Bristol, Wiltshire, and Berkshire. I ‘volunteered’ to get the Gloucestershire and Bristol Branch off the ground as chairman. The individual Gloucestershire and Bristol branches will now be under this umbrella. The aim is for the County Branch to run the annual Back Badge Reunion at the weekend nearest to Back Badge Day and we alternate the venues to accommodate both Bristol and the districts of Gloucestershire. Next year 2018 it will be a lunch held at Dr Fosters pub in Gloucester on Saturday 24 March following the Back Badge Service at St Mary’s de Lode in Gloucester. Full details will follow in due course. The County Branch now needs to recruit a secretary and we are looking for a volunteer. There will be some initial work to do in taking over and bringing up to date a database and then circulating details of meetings. The aim is only to hold 2 meetings a year including Back Badge day but we will support the branches and disseminate information of other events of interest. The overall aim of the County Office will be to keep the name of The Glosters and RGBW alive in Bristol and Gloucestershire and encourage those leaving the Rifles from our area to join and be part of the wider family. If you are interested in helping as Secretary please drop me an email to robert@robertdixon.co.uk and I will get in touch to discuss further. Vicki Hopson of The Soldiers of Gloucestershire Museum tells us that they have some surplus (original) copies of the Back Badge Regimental Journal. As they have complete sets in the archives they are offering these individual surplus copies for sale. 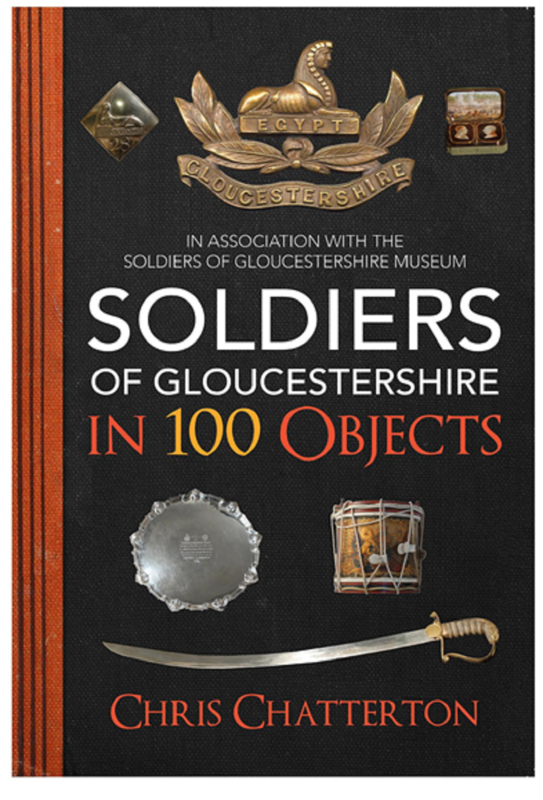 Soldiers of Gloucestershire in 100 Objects! A once only opportunity to obtain a piece of our Glosters/ RGBW silverware or other artefacts of interest. This is your opportunity to bid now before any unsold items go on offer to the general public in three months time. Once it’s gone it’s gone! 1. Introduction. As many will already know RGBW chattels are the subject of an ongoing disposals exercise by the Trustees of the RGBW Regimental Trust. An early priority was identifying objects for transfer to the ownership of The Rifles. Several objects that inspired members of the RGBW, and those from its forming regiments, now fulfil a similar role within The Rifles. Meanwhile other objects have been claimed for display by our Museums and have been or are now being accessioned. Concurrently Salisbury conducted a sale of RGBW chattels that, in the main, were previously the property of a DERR Trust. 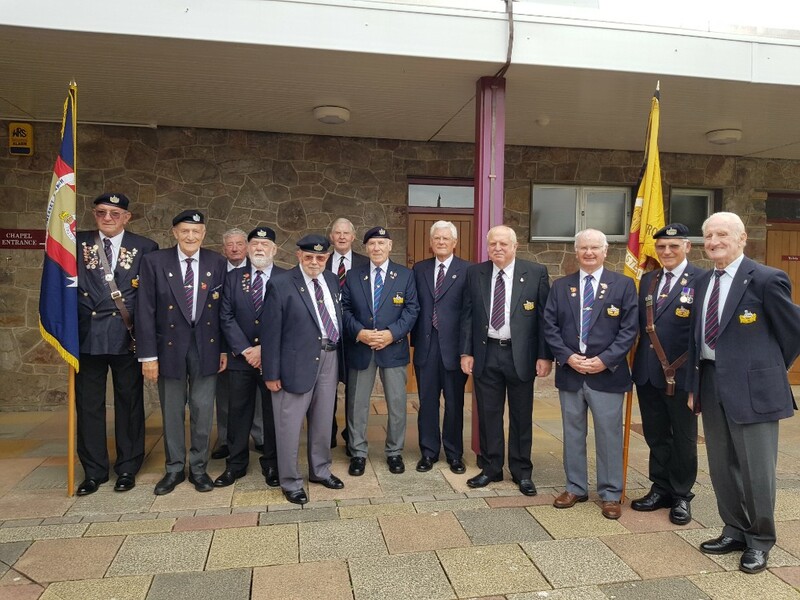 Proceeds from the sale benefitted RGBW Regimental Charities. 2. Background. This next step consolidates objects that have been stored at Gloucester and which may now be surplus to requirements. Those objects appear in this catalogue. The purpose of this catalogue is to bring this latest disposal to the attention of The Rifles, our Museums and RGBW Association members. 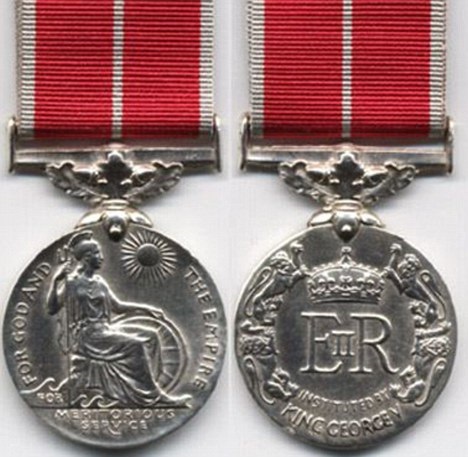 The process has been primarily designed to ensure that those who served in The Gloucestershire Regiment and The Royal Gloucestershire, Berkshire and Wiltshire Regiment have an opportunity to acquire surplus items, whilst meeting the requirement of the Charity Commissioners that reasonable value is obtained in any process of disposal. Those who served in The Wiltshire Regiment and The Duke of Edinburgh’s Royal Regiment will wish to note that some regimental items of cutlery, crockery and a few small salvers, from the 62nd of Foot, are also included. • Objective One. The catalogue forms a record and base document for managing disposals as well as explaining the rules of disposal. The Rifles, GRMT, RWMT and RGBW Association members may bid for objects or, in the case of charitable trusts, request the potential transfer of an object/sbetween Trusts. Discretion on the release of further objects to The Rifles or the two Museums will rest with the Trustees ofthe RGBW Regimental Trust. They will need to be satisfied that the item is needed for display. • Objective Three. The catalogue may help to bring the disposals process to the attention of donors or, where known, their immediate descendants. If requested, Trustees of the RGBW Regimental Trust will generally be willing to return anobject to a donor, or immediate successor. offering them the opportunity to purchase an object for a fixed price. Bids to purchase can only be made onthe prescribed bidding form. Transfers and sales to individuals will not be confirmed before the closure of bidding for all on Monday 25th September 2017. This three month period will allow potential bidders to hear about the disposals process, consider options having accessed the catalogue, and submit a bidding form or forms. • Objective Five. Much time has been taken in compiling a comprehensive catalogue and so minimise any requirement to travel and view objects. 4. Those objects that are surplus to requirements, following disposal, and for which no successful bid has been achieved will be put up for public auction. a. Bidding. Members should bid, in writing, offering to purchase an object at the list price. Bids will only be accepted on the prescribed forms (see Enclosures 1-3). Any modification or amendment to a bidding form may lead to the bid being disqualified. This is not an auction. Bids must be received by post or e-mail (aotaunton@the-rifles.co.uk ) by no later than 4.00pm on Monday 25th September 2017. Each bid must be made on a separate form. In addition particular attention is drawn to the need to complete each section of the bidding form including a summary of your Service details and Association membership. b. Viewing. The photographs and descriptions within the catalogue should minimise any requirement for personal viewing. c. Bidding Process. Individual members may only bid for a maximum of five objects. There can be no assurance or guarantee that any one individual will be successful with any one of up to five bids. If more than one bid is received for an object, any extenuating reason (see bidding form) may be considered by the Bidding Committee who will oversee the process. Thereafter, and as appropriate, all bids for that object go ‘in to a hat’ where the successful bid will be drawn, supervised by an Independent Person. In addition, where there is more than one bid for an object a second and third bid will be drawn as ‘reserves’ in case the first named fails to honour their bid. d. Reserve Bids. Any Association member who wishes to place more than five bids, may further submit up to five Reserve Bids. Reserve Bids will only be considered by the Bidding Committee if the item for which a Reserve Bid has been received has not already been allocated. Reserve Bids must be submitted on the correct bidding form. e.Consideration of Bids. All bids will be considered, by the Bidding Committee, in October 2017.
f. Communication Regarding Bids. Successful applicants will be informed by telephone or e-mail. The process will take time. There will be no communication with applicants of unsuccessful bids. g. Public Auction. Any item for which no successful bid has been achieved, nor has been approved for transfer between Trusts, will be put up for public auction. h. Collection of Objects. Items will only be posted in exceptional circumstances and at full cost to the purchaser. Where it is difficult for an individual to collect an item personally from either the Rifles Taunton Office or the Soldiers of Gloucestershire Museum, we would ask that a friend does so to minimise the workload. All items must be collected within 30 days of notification. Thereafter an object will be offered to the second named bidder. If the second named bidder fails to honour their bid within a further 30 days, the Trust reserves the right to place the object at public auction. i. Allocation of Priorities. Where more than one bid is received for an item officers will generally have priority for items of Officers’ Mess property. The same will apply to WOs & SNCOs and Corporals for property from respective Messes. However, this general approach does not stop individuals from bidding across the catalogue up to a maximum of five items. Give some thought to the completion of your bidding form to assist the Bidding Committee with the award of bids. j. Payment. Payment should be made by cash, electronic transfer or cheque (The Rifles Office Taunton) prior to collection. Appropriate details will be passed to successful bidders. Subsequently the consolidated receipt will be transferred to The RGBW Regimental Charity. WARNING: all items, with only a tiny number of exceptions, have been ‘well used’ and their condition reflects this. Purchasers should expect silver to be dented and/or scratched, pictures to need attention, including reframing, and books to be very worn. The auctioneers valuations do reflect condition. .Debbie in the Taunton office has received a phone call from a Mr Martin Francis, he is very concerned about his father, former Pte. 21187321 Charles Francis, a Korean Veteran who fought in Battle of the Imjin and was subsequently taken prisoner. He served in the Glosters from 1948 to 1953. Charles lives in sheltered accommodation in Stonehouse and does not see anyone, apart from carers who come in but they are restricted by their employment conditions to only a few minutes at a time. Charles is having problems regularly falling with various hospital admissions, and he is very confused and desperately lonely. Charles more than did his bit for Queen and Country, now he is old and alone and needs to see a friendly face for a chat from time to time. If you can spare a little time to call on him it would be much appreciated. His Son Martin does not live in this country, his home and work is in the Middle East. He has been visiting for a few weeks but flies home today. Hopefully there are many fellow Glosters in the Stroud Valley’s and Gloucester area who will be pleased to organise a visit from time to time to help one of our heroes. If you can his details are. The Soldiers of Gloucestershire and The Friends of the Museum were invited to at a Service of Rededication of the World War I Wayside Cross at Woodchester, a village south of Stroud on Saturday 10th June 2017. The Princess Royal attended along with the Ld-Lieut of Gloucestershire. The history of this wooden cross is unique; it is the only memorial commenced and completed during WWI, most memorials to the fallen of World War I were not commissioned until after November 1918. There had been private plaques in chapels to mark those serving in the Crimean and Boer Wars and, indeed, Cheltenham has a war memorial to those who died in the ‘South African War 1899 -1902’, but this was a result of an individual taking action to mark the deaths of those in the village around him as the stalemate of the trench warfare continued. The service is led by Lt Col Carl Meyer, a consultant military orthopaedic surgeon who has been a consultant at RJAH for over three years. A graduate of Birmingham University Medical School, Lt Col Meyer of the Royal Army Medical Corps completed his orthopaedic training on the Oswestry/Stoke rotation, before his consultant military appointment in 2011. Lt Col Meyer has served as a Medical Officer in both the Gulf War and more recently in Afghanistan, where he was involved in treating local civilians, as well as injured troops. He has special clinical interests in hip and knee replacement and in trauma and being a military consultant has helped him understand the experiences and expectation of veteran patients. Who can attend the Veterans’ clinic? • Veterans who are serving or have served with the UK Military, including National Service, who require treatment for arthritic lower limb problems, especially those requiring hip and knee replacements. When is the Veterans’ clinic held? • Twice a month on a Tuesday morning, usually between 9.00 – 12pm. 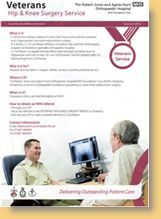 How can I be referred to the Veterans’ Clinic? The memorial has been re-located. At Cassel in 1991 a memorial plaque was unveiled in the town square by HRH Duke of Gloucester and Major General Robin Grist who at that time was Colonel of the Regiment. The plaque is dedicated in Proud Memory of Brigadier NF Somerset CBE DSO MC and the 228 officers and men of the 2nd & 5th Battalion of the Gloucestershire Regiment, who fought and died from Waterloo to Cassel and Ledringhem covering the evacuation of the British and French Forces at Dunkirk, 11-29th May 1940. Glosters Veteran, 88 year old Clifford Rowland (Photo) and his wife Irene are members of the Somerset Branch of the Regimental Association and are also prominent members of the British Army Association (BAA). Each year on behalf of the BAA Irene organises an annual Pilgrimage to the war cemeteries. Included in the itinerary is a visit to Cassel and the Glosters memorial where a short ceremony is held and wreaths laid. Whilst the original location of the memorial in 1991 was ideal, unfortunately over the years there has been a marked deterioration. Run off from the park walkway above the memorial has badly soiled the plaque so much so that before any ceremony could take place Cliff & Irene had to clean up the area. This was accomplished thanks to the kind assistance of a local café proprietor who loaned them buckets and brooms! The need to provide additional parking in Cassel has meant the local authority has now officially designated the area in front of the memorial as a car park. Cars are now parked within twelve inches of the memorial completely obstructing it from view and making it difficult for visitors to find. The annual ceremony now out of the question, those attending found that the Standards were unable to be dipped and the wreath layers had to squeeze between the parked cars to gain access. Not to be phased by the problem Cliff and Irene and those attending felt that it was time to bring their concerns to the good people of Cassel and so Cliff sought an audience with the Town Mayor in order to put forward a suggestion to re-locate the Memorial to the Cassel Communal Cemetery War Graves Extension where many soldiers of the Glosters are buried. Cliff found the Mayor to be extremely appreciative of the problem and without hesitation he drove Cliff to the Cemetery and a site was chosen requiring a new section of wall to be built. This has now been completed and the memorial is situated in its new home on a wall overlooking several graves of Glosters bordered by a manicured green lawn, a fitting and peaceful location for families and visitors for many more years to come. Well done Cliff and Irene. We are extremely grateful to the Mayor and good people of Cassel in making this re-location possible.